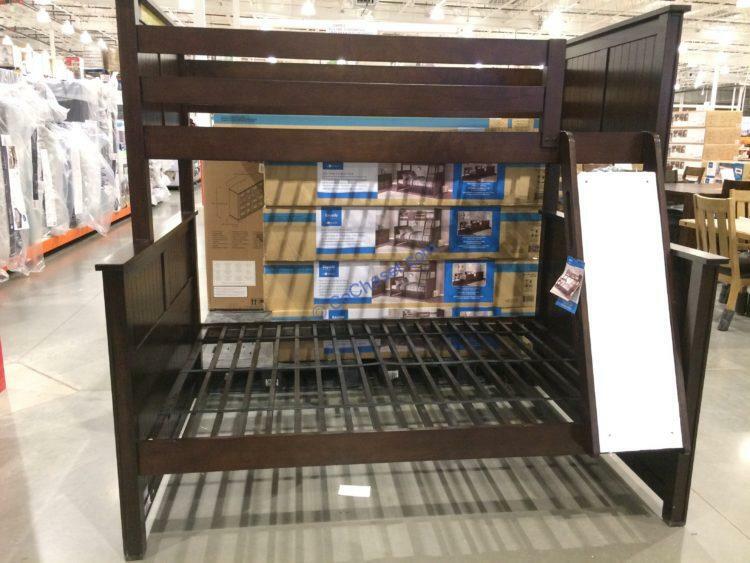 Save a space for the future with this Bayside Furnishings Twin over Full Bunk Bed. It is built ready to grow with your family. The warm brown finish accents any decor making it perfect for use in youth rooms, guest rooms, or vacation homes. These bunk beds easily convert into two separate beds: 1 twin and 1 full-size, each with their own headboard and footboard. Safe access to the top bunk can be located on either side of the bed to accommodate any room layout.